CraftArt has announced the award winners for “LightHeaded: New Directions in Fine Craft Lighting” in its exhibition gallery through March 24. 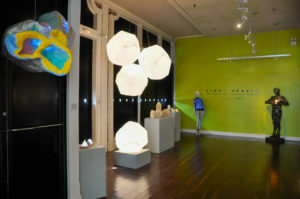 Renowned interior designer and recent St. Petersburg resident Keith Bucklew reviewed more than 60 pieces of light art and made the following selections. 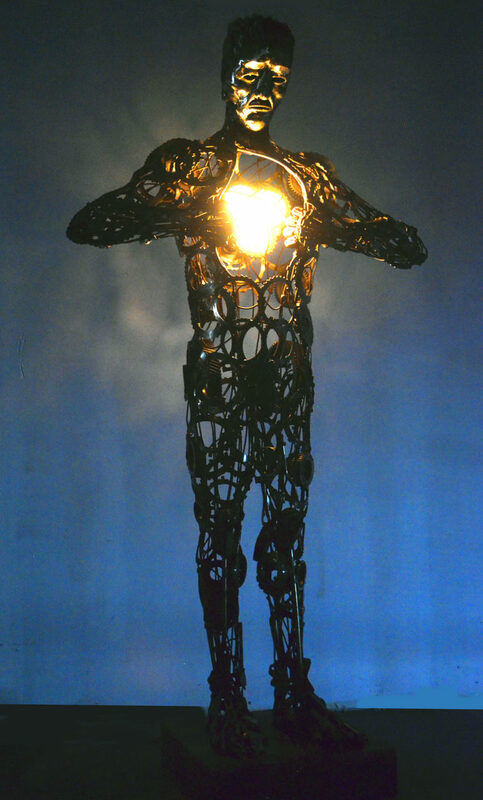 He awarded St. Petersburg artist Donald Gialanella best of show for “Enlightened Man,” – an astonishing full-sized sculpture of a man whose body is welded from gears, wheels, has bright lights placed where the heart would be. 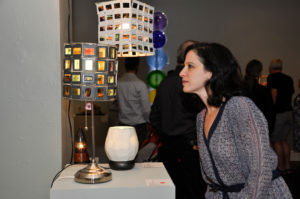 “This piece walks away with the top award for both originality and the intricate work involved in its fabrication,” said Mr. Bucklew. CUTLINES: “Enlightened Man” is a steel assemblage by St. Petersburg artist Donald Gialanella. 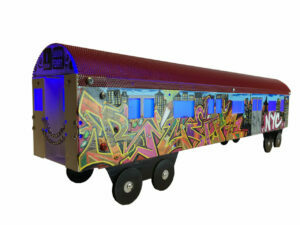 “SMASH Artisan Subway Series Lights” is by Brooklyn artists Liz Bellovin.